"We chose CleanLink because it became apparent from day one that this software really was bespoke to the cleaning industry. It allowed us to enter data from a bunch of spreadsheets into one central system that could easily be updated,"
The CleanLink Software team will be exhibiting at the Manchester Cleaning Show on the 11th and 12th of April 2018. May Harris’s aim is to provide the very best service possible, to always exceed their clients’ expectations and always be prepared to go the extra mile in search of customer satisfaction. The adoption of CleanLink’s innovative software solutions is helping them to ensure that this can be achieved. Having first-hand knowledge of your target market can serve you well in business, as the success of CleanLink Software Limited clearly shows. It develops and sells business management software, primarily for the contract cleaning sector, based on the experience of its founder. 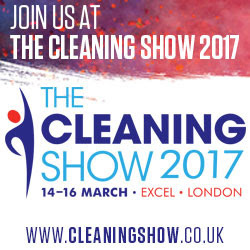 CleanLink Software will be exhibiting at the Cleaning Show 2017. CleanLink's award-winning Mobile App has recently been updated to include functionality to receive, complete and send staff timesheets back to Site Manager. Here's a brief video to show how quick and easy it is to complete a timesheet using the Mobile App. The CleanLink Software Team will be at the Manchester Cleaning Show on the 6th & 7th of April. Come and meet us on Stand E13. 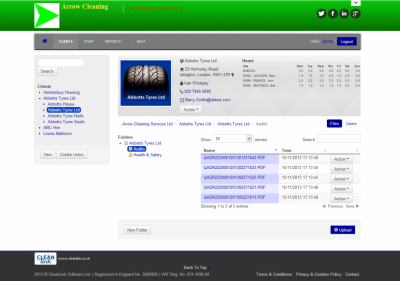 “CleanLink ’is a market leading software solution designed specifically for the cleaning industry. Its use has enabled us to effectively streamline our administration as intended. It also ensures all site and employee data is stored securely. It produces work sheets, site budgets and risk assessments for us. Using ‘CleanLink Mobile’ we are also able to provide a fast, electronic auditing solution with comprehensive management reporting. The use of the Mobile has also allowed our personnel to have key data regarding their clients and staff to hand all the time. “After looking at many software solutions, Cleanlink was the one that suited our needs best. After trialling Site Master for 3 months, we found it was easy to incorporate into our everyday business, how easily it could be used on site by our employees, and how easy it was to use in the office by our admin staff. " Supacleen are a professional Commercial Cleaning and Specialist Facilities Services provider, based in Cardiff. They have over 30 years of experience in this sector, and their 150 staff deliver the highest standards of cleaning and facilities services to numerous prestigious local organisations, across South Wales. Supacleen tailor make their services to meet the exact needs of their client, at a price to suit their client's budget. When asked why they selected CleanLink’s software solution in 2007, they commented: “CleanLink offered a consistent approach to information management, with the ability to have site specific data instantly available, at the office and later on, via mobile devices. Access to this data has recently been enhanced to include the Client Portal service via the Cloud. We have been using this facility to good effect since late 2013”. Orion Cleaning is a professional commercial cleaning company that operates in and around the Midlands. Orion's been keeping offices and business premises in this region clean for over 25 years. The company's mandate is to make their customers' cleaning contract 'Easy' for them, so their customers can then concentrate on their own core business. Orion believes that regular client meetings and site evaluations are the secret to their success. They also believe in investing in the latest, industry leading information technology solutions to help make them more effective and responsive to their clients and staff. ServiceMaster Clean (Devon) was established in 1991 and now cleans nearly 200 sites across the South West region, employing over 160 staff. The team tries to build longstanding relationships with customers, and aspires to an exceptional level of customer service in order to earn their loyalty. Having accurate and up to date information about the business is critical to managing every aspect of it. Crystal Services plc was established in 1984 to serve blue chip clients in both the public & private sector. Privately owned, medium sized and financially stable, Crystal Services is large enough to guarantee service excellence, but still small enough to care and give each of our customers the levels of attention needed to ensure a successful partnership. We prioritise customer loyalty and staff retention. Each division has its own specialist staff with health & safety, human resources, financial, marketing and systems support. Current turnover is in excess of £11 million and we are proud to boast a staffing level in excess of 1,000 dedicated and loyal employees. The CleanLink Portal Is Now Live! Sometimes company names don’t give much of a clue as to what an individual firm does, but when it comes to Cleaning and Support Services (CASS), it’s obvious! With offices in Harrow, Watford and Stockton on Tees, CASS brings its extensive cleaning, maintenance and facilities management know-how to a wide range of clients across England. This includes local authorities, housing associations, car vehicle showrooms, offices, commercial premises and a major food distributor.